An open casting call for extras will be held this Sunday, April 6 at the Sommet Center, in downtown Nashville. This event is open to all ages. Please bring a recent 4-inch by 6-inch snapshot and a pen. Adults must accompany minor children at the call and during any work. 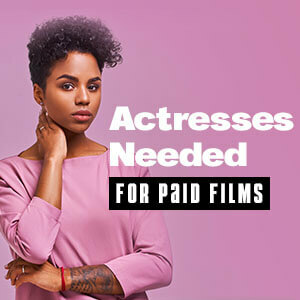 It is not necessary to live in Tennessee, however talent must be visiting or staying in the area during production (the Casting Directors will inform you as to the exact dates you need to be in Nashville at the open call). Extras will be booked for one day to several weeks, and an average of 12 to 14 hours each day. Sommet Center main entrance is located at the corner of Broadway and 5th Avenue. Follow Nashville signs and exit on Broadway (209B). Turn left on Broadway and Sommet Center will be on your right, between 6th and 5th Avenues. Follow I-40, into downtown Nashville and exit on Broadway (209A). Turn right on Broadway and Sommet Center will be on your right, between 6th and 5th Avenues. Follow I-65 South to I-40 West. When I-40 splits, take I-40 East to the right. Take the Broadway exit (209B). Turn left on Broadway and Sommet Center will be on your right, between 6th and 5th Avenues. Stay North on I-65 to I-40 West towards Memphis, exit on Broadway (209A). Turn right and Sommet Center will be on your right between 6th and 5th Avenues. Follow I-40 West towards Memphis. Exit on Broadway (209A). Turn right and Sommet Center will be on your right between 6th and 5th Avenues. Follow I-24 East to I-65 South to I-40 West. When I-40 splits, take I-40 East to the right. Take the Broadway exit (209B). Turn left on Broadway and Sommet Center will be on your right, between 6th and 5th Avenues.